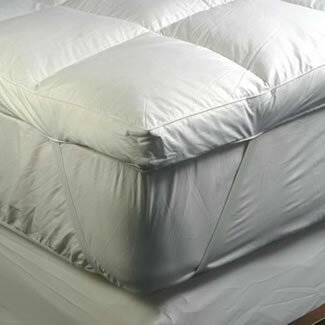 This feather and down mattress topper guarantees a deeper, more restful sleep. Enjoy the fabulous comfort of this feather bed mattress topper, by placing it underneath your sheet directly on top of your mattress. This heavily filled feather topper with side baffle walls to keep its shape, is covered with a second layer, filled with the finest white goose down. It makes your bed more comfortable by cushioning and cradling your body. Feel the soft down while experiencing the support of the feather underneath. This topper is fitted with anchor bands that fit around your mattress securing the topper in place. 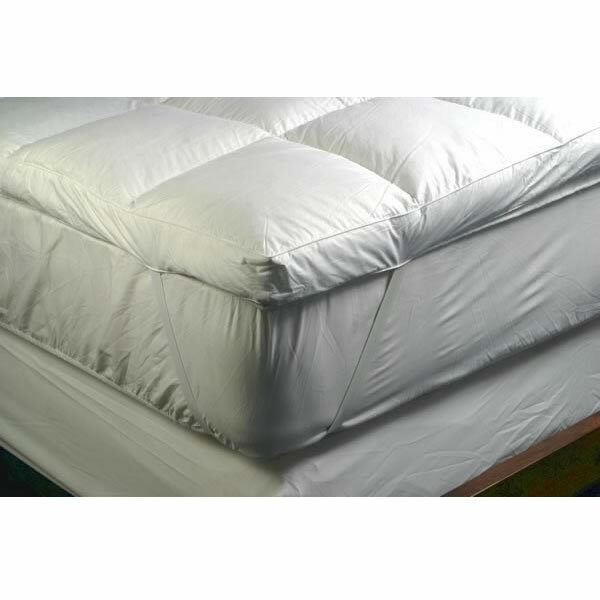 This product comprises of 2 layers the layer nearest the mattress comprisies of 80% feather 20% down. The top layer comprises of 80% down and 20% feather. This product can only be washed at 40 degrees in a large capacity machine and tumble dried. Do not use a domestic machine as it does not have the load capacity.